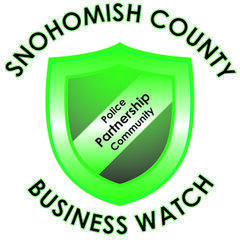 The Snohomish County Business Watch invites you to our April General Meeting, 4/16 at 11:30am at Mukilteo City Hall. RSVP to rsvp@thescbw.org or on Facebook or Google+ (links below). In 2013, we’ll be continuing our enterprising training program on preventing and responding to crime. Our first three seminars could be classified as “get me out alive!” and the last one as “and bring my money too!” We have a slate of dynamic speakers and topics that you won’t want to miss. Pick and choose which meetings you want to attend or attend them all! The entry fee is $5 and lunch will be provided. We hope to see you there! Also please visit our website at www.TheSCBW.org.